View all your media devices (Sky HD, Freeview, Bluray, DVD players and games consoles) on every HDTV in your home. Watch one media device on all of your TVs at the same time or have any combination of media devices routed to any TV you choose. The lounge can be watching Sky HD box 1, the family room watching Sky HD box 2, the cinema room watching a blu-ray, whilst children can be streaming their favourite film in their bedroom. HDanywhere multi room systems are future-ready and support 4K ULTRA HD resolutions straight out of the box. HDanywherecan also send faster than WiFi 10/100 networking to each TV location, making them perfect for SmartTVs and online gaming. Simplify your living space by locating all of your media devices and set top boxes (Sky HD, TiVo, Freeview, Bluray and DVD players, media centres and games consoles) in a discrete communications cabinet in a central location. You connect your media devices to a multi-room hub, instead of directly to your TV. 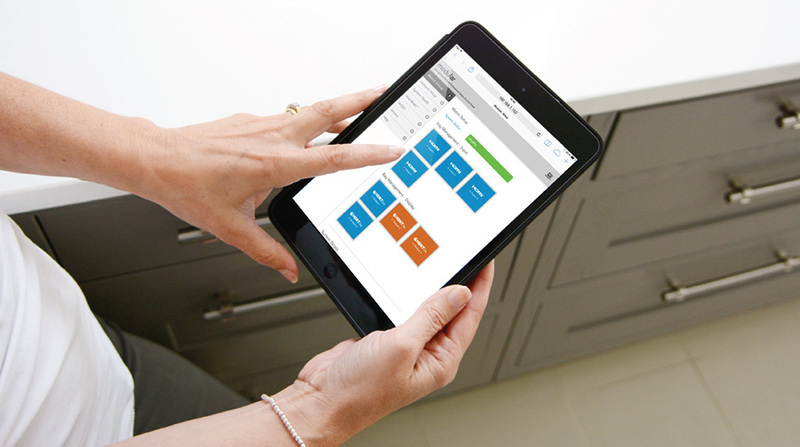 Control your multiroom system with a universal remote, smartphone or tablet. Our multi room HD solutions easily integrate with other smart home technologies like Control4 and Sonos audio systems, giving you a truly connected, intelligent home.